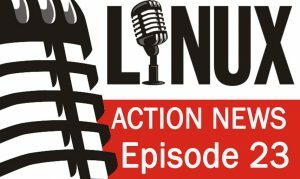 Fixing Steam on Linux for good, new toys for Fedora and Plasma users, OnePlus gets busted & the Librem 5 gets funded. Plus some key project updates & more! Solus pushing forward Steam with Snaps — That snap, as some people have already guessed as much, will be the linux-steam-integration project, using a strict-mode LSI intercept module. We can also make various tweaks on top of that runtime to enforce ABI compatibility where it might be missing. AAC will be supported in Fedora Workstation 27 — What we will be shipping in Fedora is a modified version of the AAC implementation released by Google, which was originally written by Frauenhoffer. On top of that we will of course be providing GStreamer plugins to enable full support for playing and creating AAC files for GStreamer applications. Plasma 5.11 released — Plasma 5.11 brings a redesigned settings app, improved notifications, a more powerful task manager. Plasma 5.11 is the first release to contain the new “Vault”, a system to allow the user to encrypt and open sets of documents in a secure and user-friendly way, making Plasma an excellent choice for people dealing with private and confidential information. 5.12 aims for Wayland improvements — If we all just use Wayland and report and fix the bugs we run into I’m sure that 5.12 will be an awesome release on Wayland. So please help to make it happen! Fwupd 1.0 Released — fwupd now supports 72 different kinds of hardware, support for another ~12 devices is currently being worked on, many vendors continue using or exploring fwupd, and around 165,000 devices each month get updated firmware using fwupd with LVFS. Oneplus collecting data in Oxygen OS — Moore discovered that some of the data being sent to OnePlus’ servers included the phone’s IMEI number, the phone number, MAC addresses, mobile network names and IMSI prefixes, Wi-Fi connection info, and the phone’s serial number. Say they’ll stop — By the end of October, “all OnePlus phones running OxygenOS will have a prompt in the setup wizard that asks users if they want to join our user experience program.” Not only that, but he also stated that OnePlus “will no longer be collecting telephone numbers, MAC Addresses and WiFi information. Librem 5 funded — 14 days early, we have crossed a historic milestone. Purism Collaborates with Cryptocurrency Monero — The Monero Project is a grassroots, community-driven initiative that advocates for privacy on a global scale by producing several free libre open source software projects, with the flagship offering being Monero, a fungible and decentralized cryptocurrency.